While comparing Aweber vs Getresponse both the email marketing software services companies are up to the mark in their service as well as customer support. Aweber charge $19 up to 500 subscribers, also offer discount when paid yearly. Yearly coustomers are to be paid $194 for 500 subscribers and save $34. Get response charge $15 up to 1000 subscribers & offer 18% discount if paid yearly . Aweber has over 150 free templates & Get response has 350 free easy to edit templates to create eye-catching emails & newsletters. Both of them have integration with Facebook, Twitter, Google Analytic & others. Getresponse have 1 GB multimedia storage facility enabling clients video email marketing.Aweber is best for creating coustomize opt-in pages, anyone can make stunning opt-in pages by their drag & drop features. Aweber email delivery rate is consistently above the mark where as Getresponse is having a 99 percent email delivery which is evaluated by a third party. Aweber has an instant customer support, it open seven days per week. Getresponse also have very cordial customer support, useful knowledgebase library for new users as well as for pros & open from Monday to Saturday. Aweber has $1 free trial whereas Getresponse offer trial which is always free & client can send 500 emails to 100 email address per month. 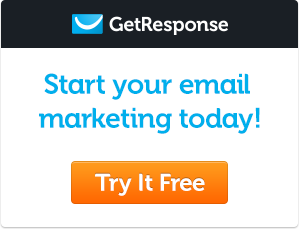 Pro: Getresponse has video email marketing feature. Con: Aweber has $1 free trial offer but good pricing structure for higher slabs. Hence choose the right email marketing service as per your requirement by visiting both sites & compare between Aweber vs Getresponse.